Cape Town is considered to be one of the most beautiful cities in the world, with its enchanting Table Mountain providing a backdrop to this stunning city. Consistently rated internationally as one of the top 10 desirable cities to visit, Cape Town always delivers. 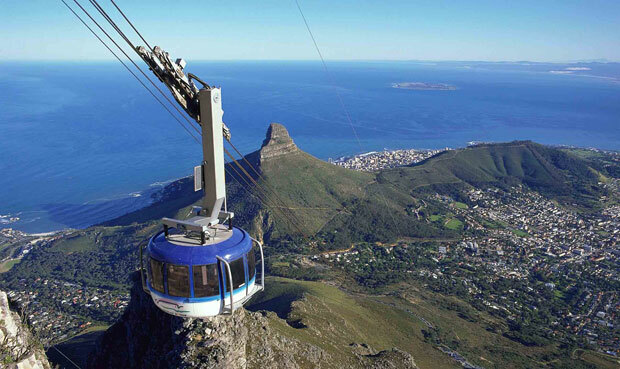 With landmarks like Table Mountain, Robben Island, Cape Point, V&A Waterftont, Constantia Winelands and Kirstenbosch; Cape Town is full of fantastic activities to do and interesting places to see. Table Mountain is undeniably the biggest tourist attraction in South Africa. Table Mountain offers the most phenomenal views of the Cape Peninsula. Hike up to the top or take the Aerial Cableway. On the top is a licensed restaurant, plus great variety of walks and hikes for all levels of fitness and ability. Table Mountain’s beautiful and truly unique ecology make visiting it a spectacular and memorable experience. 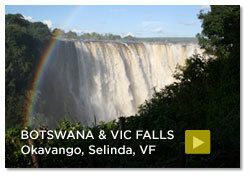 Excellent opportunities for nature trails, abseiling, mountain climbing and many other activities are available. 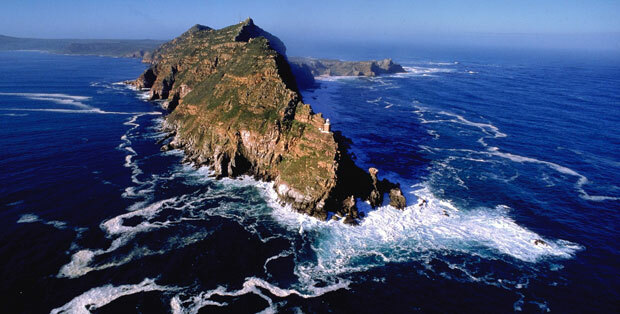 Another main attraction of this lovely city is the Cape of Good Hope Nature Reserve. Globally recognized for its extraordinarily rich diverse and unique flora and fauna, this singular land formation – with its rugged cliffs, steep slopes and sandy flats – is a truly remarkable natural, scenic, historical, cultural and recreational destination. Also boasting the Cape of Good Hope, the most southwestern tip of Africa, the trip to the very south of the Cape Peninsula to visit Cape Point is well worth an outing. On the eastern slopes of Table Mountain are the famous Kirstenbosch National Botanical Gardens, home to more than 5000 species of indigenous plants. Kirstenbosch is an excellent place to visit for a picnic and has wonderful walks and trails. Robben Island has a long and significant history, most recently and notably being home to Nelson Mandela for more than twenty years. tours to the island by boat are memorable and interesting. Cape Town’s Victoria and Alfred Waterfront is a hugely popular shopping, eating, drinking precinct with locals and toursits alike. Packed with everything retail plus loads of restaurants, pubs and tourist activities all within walking distance, The Waterfront is a pleasure to visit. One can also visit the African Penguins at Boulders near Simon’s Town. These bizarre birds are endemic to mainly offshore islands with only three mainland sites on South Africa’s coast. Simon’s Town is one of only 28 world sites where they occur. The colony, started by the penguins themselves at Boulders Beach, is unique in that they have voluntarily inhabited suburbia and a public bathing space. 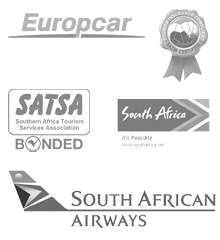 Cape Town offers so much that one should spend at least few days or even a week.